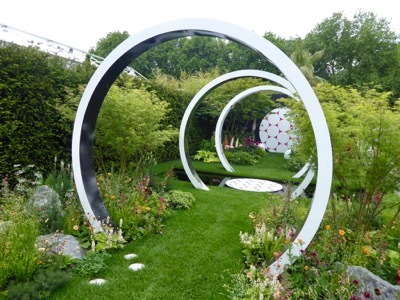 One of the fundamental principles of garden design is that a successful garden should have strong shape & good structure. 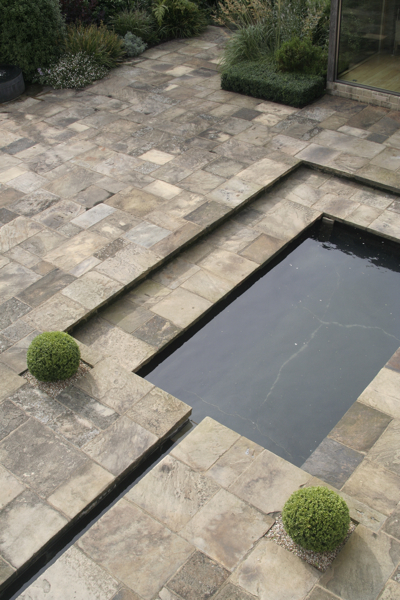 A strong ground pattern can make all the difference (and I don’t mean paving pattern, but rather the overall shape of elements such as paving, paths, lawns, borders…). Ground patterns can be formal or informal, but if you’re using an organic shape, make sure it’s a strong one. In a small space be consistent with the type of shape you use (eg stick to geometric patterns or informal curves, but don’t try to mix the two). 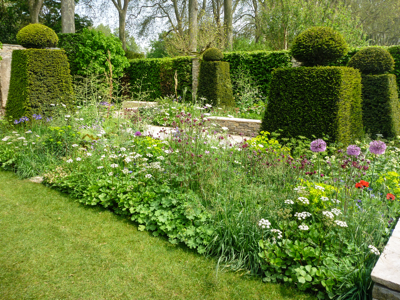 Use evergreen planting to add year-round structure to your borders – and give shrubs enough room to grow the way they are meant to, and avoid the ‘group of shrubs merging into an indistinct blob’ look. Evergreen hedging (however high) is a great way to add backbone to a garden. 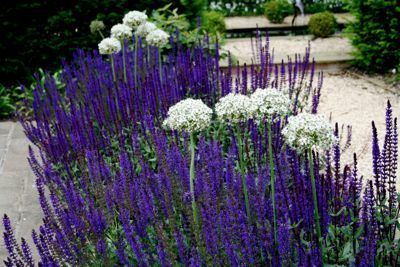 It can be used to divide a garden into distinct areas, or as the perfect backdrop to more ornamental planting. 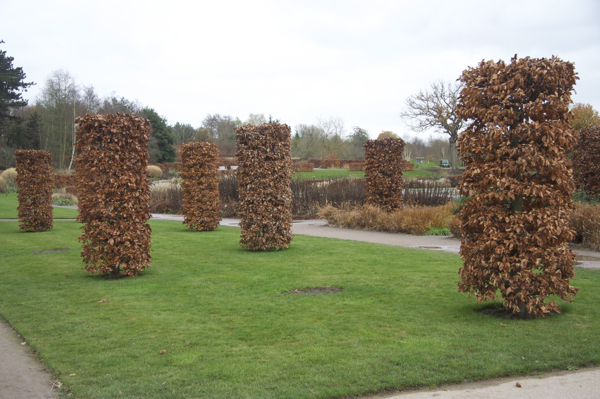 Deciduous hedging such as beech & hornbeam still has great presence in the winter as the leaves hang on until new growth starts in spring. 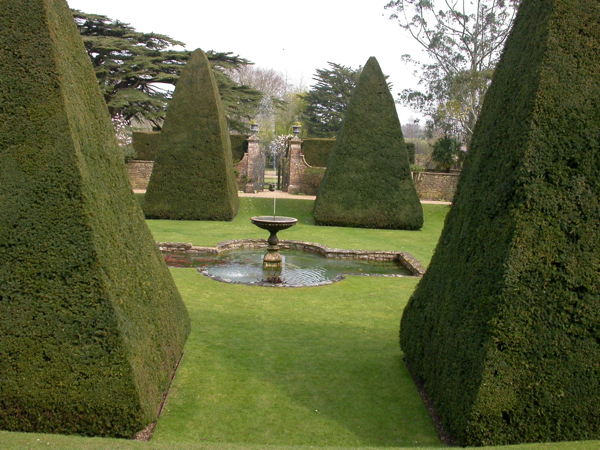 Evergreen planting and hedges can be successfully clipped into a myriad of shapes to add interest. 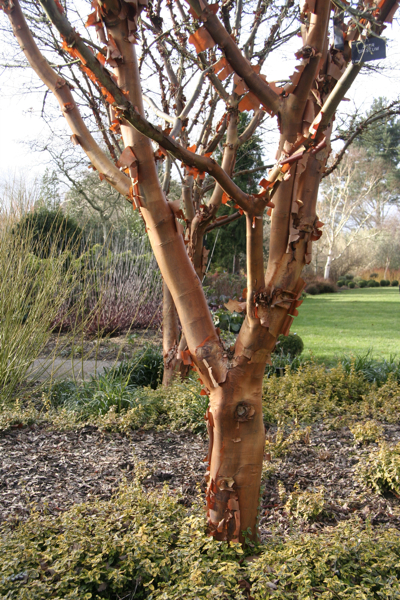 Even in winter, trees (especially those with ornamental bark) have great presence in a garden, so position them carefully. Permanent features such as pergolas, trellis screening, arbors and arches offer great structure in winter even if the planting on them has died back temporarily. Choose a style and material to suit your overall scheme. Walls don’t necessarily have to just have a practical function, and they can also be used purely as an aesthetic feature. 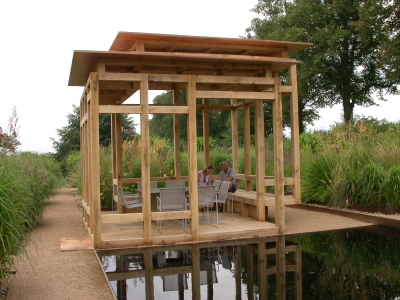 Use to divide the garden, add shape, add texture, or to provide additional seating and screening. 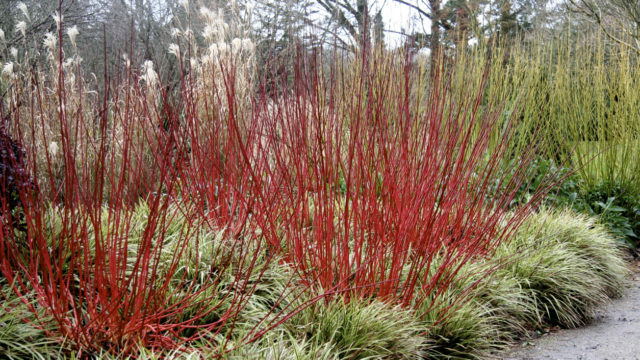 Think about adding extras such as sculpture or large pots to provide focal points in the garden throughout the year – especially valuable when the borders become bare in midwinter. 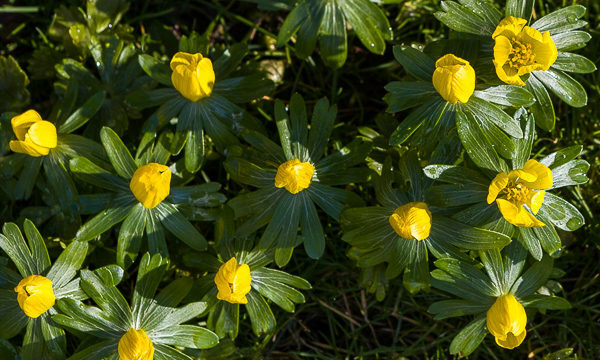 It’s easy to write off the garden in winter and to just concentrate on creating a lovely outdoor space for the summer months, but even if you don’t spend much time outside between November and March, it’s still worth having something beautiful to look at – all year round. If you’d like to discuss creating a garden that looks fantastic 365 days of the year, we’d be delighted to hear from you.